If you live in Oswego, IL, and need furnace/boiler or air-conditioning service or equipment for your home, we welcome the opportunity to serve you. 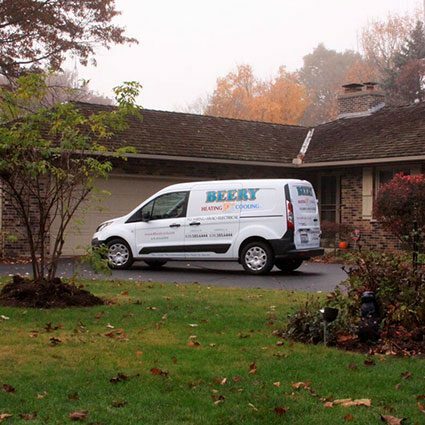 Beery Heating and Cooling installs, repairs and replaces residential furnaces, boilers and air-conditioners for Oswego. As crafters of indoor air environments, we help you customize heating and cooling systems that adapt to your personal preferences. First, we profile your climate preferences throughout your home. We then learn every detail about the spaces you’ll heat and cool for your comfort. We measure rooms and windows, check shades and window treatments, and inspect your insulation and ductwork. We use this knowledge to picture how your personal heating and cooling system would accommodate you. Lastly, we review your available options with you, including how you could approach important aspects such as temperature control, humidification and indoor-air purification. Correct climate control and maintenance will ensure your daily comfort in your Oswego home. Heating and cooling technology is always evolving, so it’s important to partner with experts who keep current with industry science. You also need professionals who can match the right equipment to your home’s varying areas. With service to Oswego since 1980, Beery Heating and Cooling installs, repairs and maintains air-conditioning and furnace/boiler systems for projects ranging from new construction to remodels and upgrades. Our team includes every specialist needed for optimal heating and cooling for both new and existing homes in Oswego. We’re also aware that a problem with your furnace, boiler or air conditioner can surface at a moment’s notice. Should you ever need repair or consultation, we’re available 24 hours a day, seven days a week with a solution. Even more, we offer Oswego homeowners a Planned Maintenance Program after our initial service visit. This benefit-rich customer contract includes same-day service, no extra charge for after-hour visits and preferred pricing for heating and cooling services. We can assist you with furnace and air-conditioning cleaning as well. Call (630) 585-6444 to find out more about our furnace/boiler and air-conditioning installation, repair and replacement for Oswego, IL. Beery Heating and Cooling also excels in plumbing and electrical work for Oswego homes. Whether your plumbing needs repair, remodeling, replacement or routine maintenance, we can provide you with the service to keep your system fully functional. Just a few of our plumbing services for Oswego include sink rodding, backflow testing, installation of water-saving faucets and toilets, and installation of sump pumps and ejector pumps. We are equally skilled with repair, maintenance and replacement of Oswego residential electrical systems. Our certified technicians can help ensure that your home’s electrical equipment lasts longer and runs more efficiently. The benefits to you are fewer costly repairs and lower energy consumption. We also offer discounts on parts and labor. Learn more about our plumbing and electrical services for Oswego, IL – call (630) 585-6444 today. Whether it’s repair, maintenance or replacement your business needs, Beery Heating and Cooling offers complete solutions for commercial heating, cooling, plumbing and electrical systems. Our experts are ready to serve you with speed and skill according to your budget. Contact us at (630) 585-6444 today for more information about our commercial services for Oswego, IL.